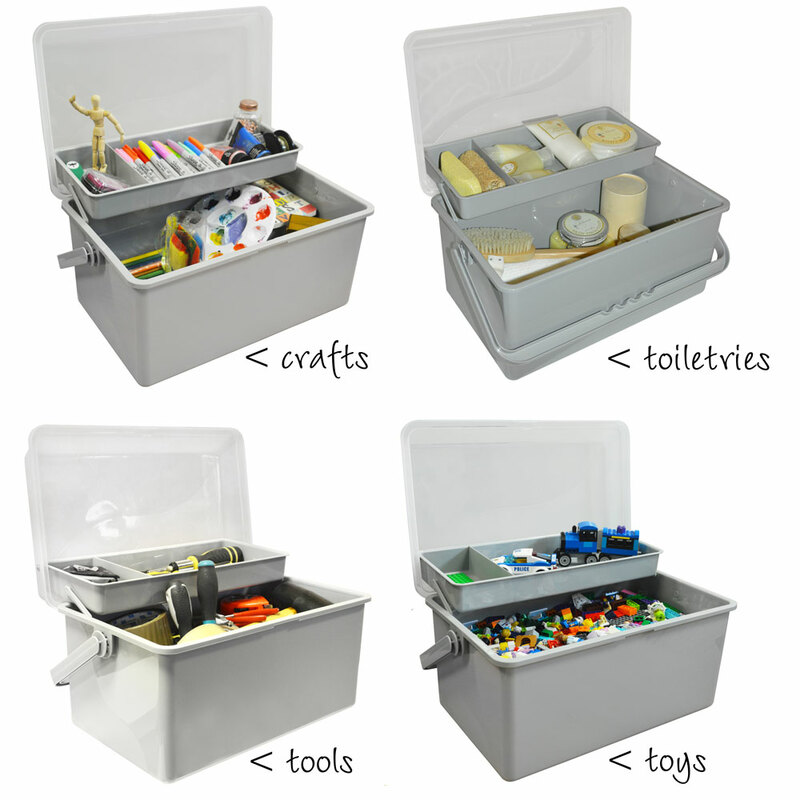 The perfect storage box for basically anything! 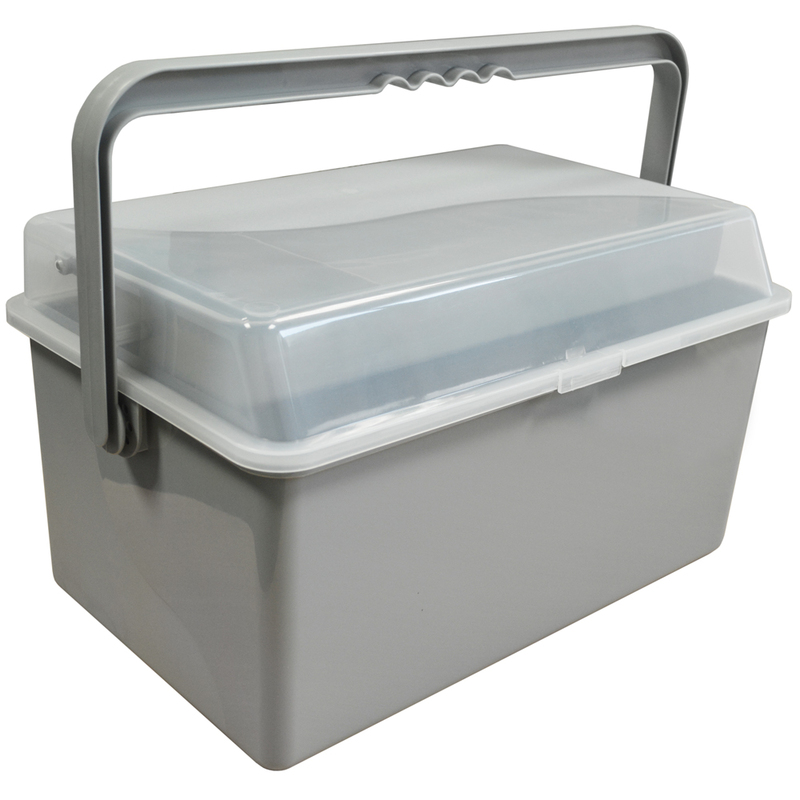 Its large interior compartment can hold items up to 39 x 24 x 18cm / thats 15 x 9.5 x 7 inches! 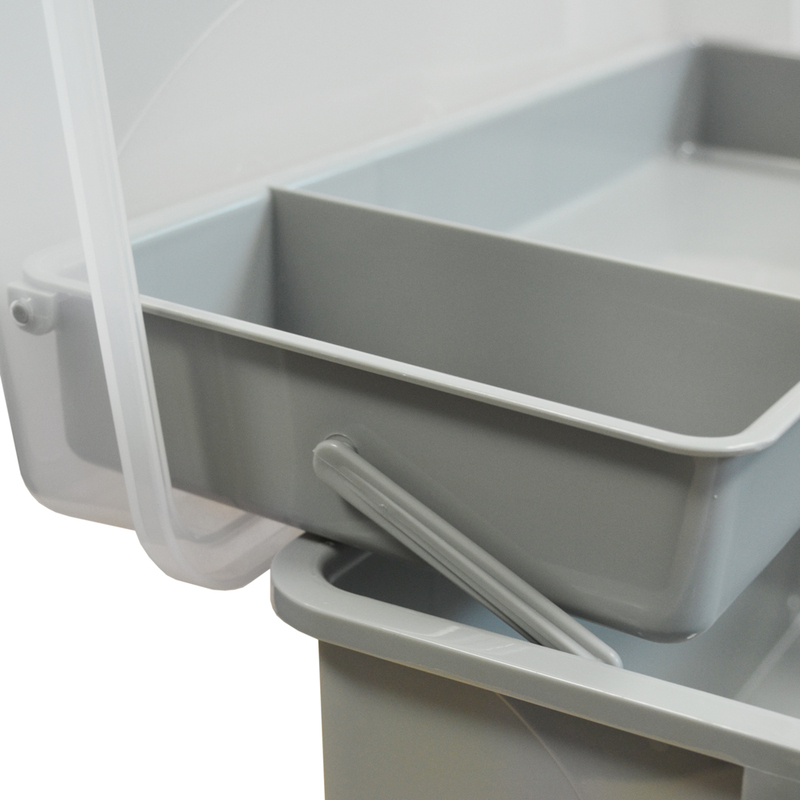 The ergonomic carry handle is perfect for transportation and the inner multi compartment tray will ensure that smaller items will not get lost and the clear clip-close lid so you can see inside. Great for crafting and model making; sewing and knitting; DIY and car tools; baby changing and bathtime, small toys like building blocks and figures; toiletries and make-up; fishing; gardening; cooking and baking; and anything else you can think of! 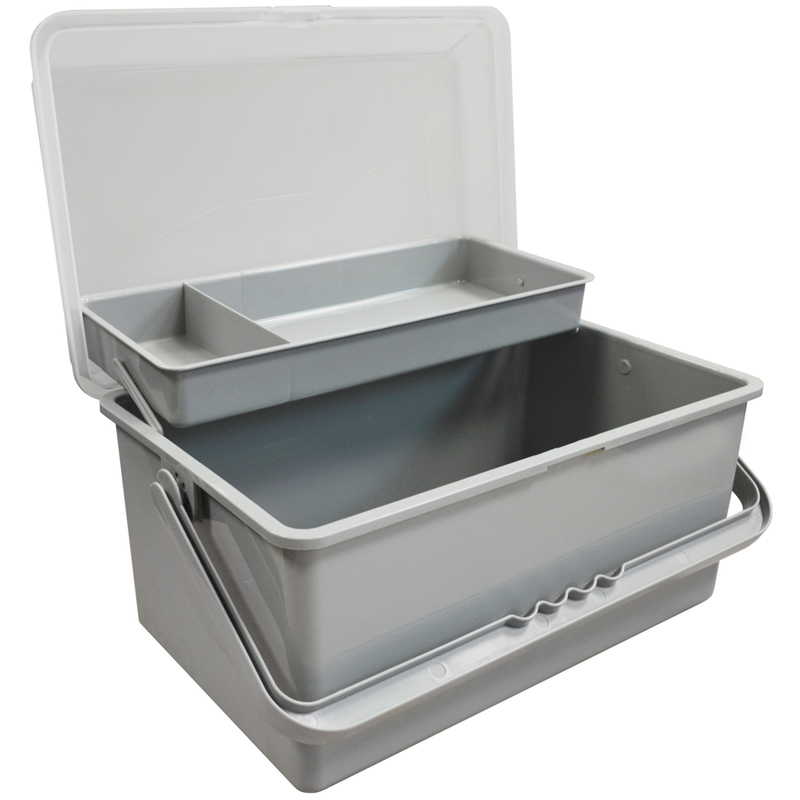 Easy to clean smooth plastic finish. 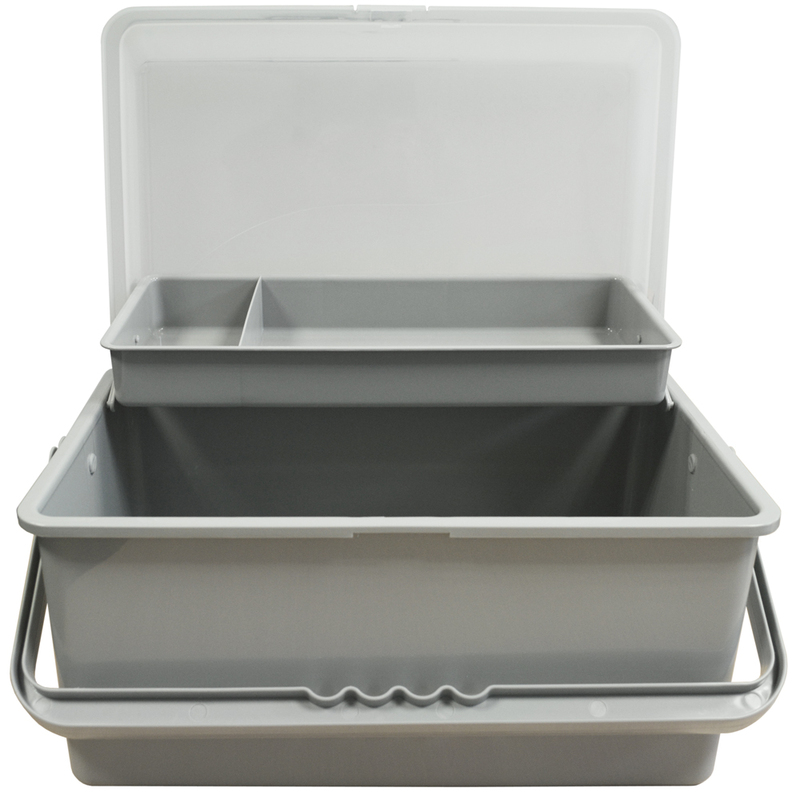 Top tray small: 4.5h x 8.5w x 15.5d cm / large: 4.5h x 29w x 15.5d cm / Base compartment: 18h x 39.5w x 24d cm.